South Barrington, Illinois. April 6, 2016 – Mooney Lyons, a wealth management firm specializing in retirement income planning, is proud to feature Mark Sommerville, a highly respected mentor and investment advisor representative specializing in college planning and budgeting. Mark currently holds his Series 7, general securities registration held with LPL, IL health and life insurance producer licenses and his Series 66 license as an investment advisor representative held with Sequoia Wealth Management. He is an integral part of a Mooney Lyons team that offers 20 plus years of experience in the college planning realm arena. His expertise includes expanded capabilities with a new software program that is used to search for scholarship and merit money for students. It is instrumental in opening up more avenues for clients to leverage offers from other colleges and universities with the goal to save significant costs and lower the debt bill upon graduation. More information on college funding and planning solutions can be found at Mooney Lyons website at http://mooneylyonscollegeplanning.com/. 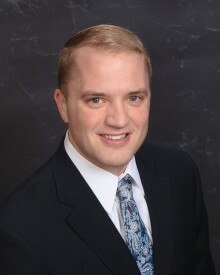 For more information on any of the financial, insurance, investments, and income planning services Mooney Lyons provides, please contact Jason Randl, Director of Client and Team Services, at 847.382.2600 x224. Securities offered through LPL Financial, Member FINRA/SIPC. Investment advice offered through Sequoia Wealth Management, a registered investment advisor. Sequoia Wealth Management, Mooney Lyons, and LPL Financial are separate entities. For a list of states in which the financial consultants affiliated with Mooney Lyons are registered to do business, please visit www.mooneylyons.com.